HTML5 games support from various sources (gamepix, poki, goodgame, plinga, famobi and more...) at the moment there are 1160 games in the new gaefeed. Backend: Publish games with one click or use the 'Mass publishing"-function...to publish hundrets of games with one click. 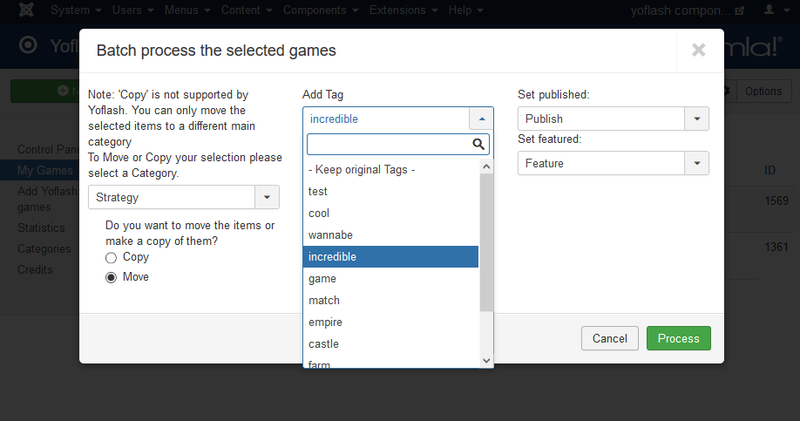 Backend: Batch processing - Move all your games (or less) across categories, (un-)publish them, (un-)feature them or add tags in one go. Frontend: Fully responsive game site (if your template supports it). I am dropping the FTP support feature. While it had its very good use, it is not needed anymore in regards of the HTTP2 protocol. 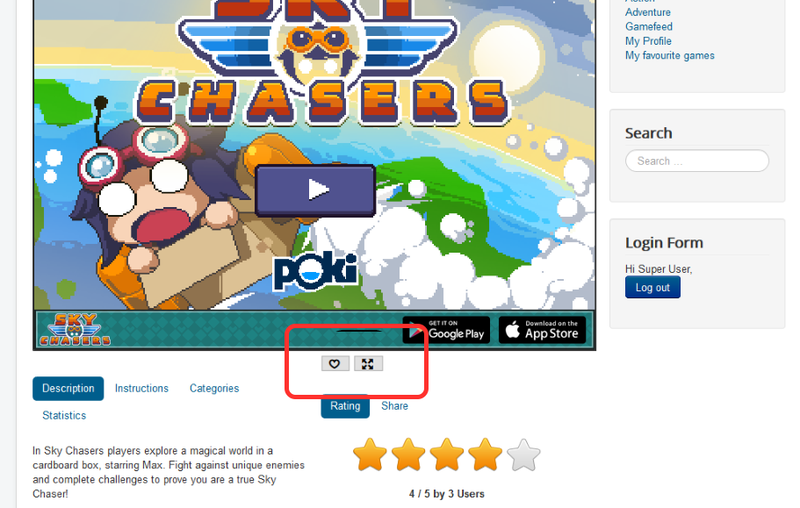 There is no "download or embed" option anymore as HTML5 games are always embed. Whit Joomla 3.2 layouts are now supported across templates / components. Therefor there is no need for an own template system. So that will go as well. As far as I have tested, the component runs smoothly in the backend and also in the frontend, however, there is still of lot of finetuningn to do. Also an updater / installer has not been written yet. Which brings me to you: Yes, you! Do you have any ideas about how we could improve the frontend? It is pretty outdated, but it works fine. So please, drop your ideas in the forum; and wel'll figure out together how we can improve the component so that it best suits you. I really rely on your participation here!! !